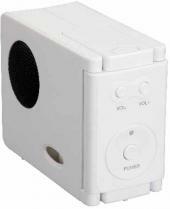 Portable speakers for an iPod, MP3, CD player, or any other mini radio with speaker output. Unique fold up design protects the speakers while traveling. The 8" stereo cable easily stores in hidden compartment in back. Includes 4 AAA batteries packaged separately. Size: Size: 7 1/2"w x 2 7/16"h (unfolded) Imprint Area: Standard Imprint Area: 1 3/8"w x 3/8"h Top Speaker Imprint Area: 2"w x 5/8"h Carton Size: 16" height x 20" width x 14" length Carton Weight: 42 lbs/80 pcs. Individually packaged in a white box. On the go design Great for outdoor activities such as the park. 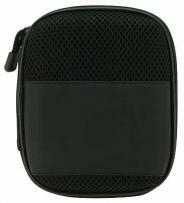 Opens up to allow music device to be stored and played from the inside of a protected zipper pouch. Includes Line in and DC adaptors for use with AM/FM radio, MP3, MP4 portable CD player and laptops. Generous imprint area for logo or message Outdoor-safe PU material All speakers do not include battery. Material: PU Product Dimensions: 4-3/16"H x 5-1/2"W x 1-7/8"D Imprint Dimensions: 1-1/4"H x 2-1/4"W Extra color/position imprint add $55.00 set up, plus running charge of $0.80 per piece for quantities of first two pricing columns, $0.40 per piece for quantities of last two pricing columns. Gift box included. Packaging: Gift Box Units/Weight Per Carton: 50 pcs/26 lbs. 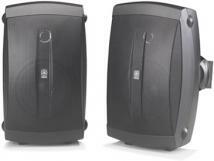 Set of 2 collapsible ROHS compliant speakers with unlimited imprint space. 4 color process imprint on speakers and on outside box included. Each box unfolds from flat die-cut to form a cube with a 2" round speaker. Set features an audio jack that plugs conveniently into a computer or MP3/MP4 player. Product Dimensions:3.5'' H x 3.5 ''W Imprint Dimensions: 6.3 ''H x 6.3'' W Packaging: Gift Box Shipping Weight: 54 lbs per 70 pcs. Note: Other decoration methods are available for this item, please call for details. 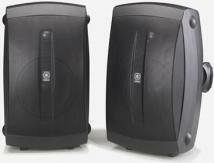 Set of 2 collapsible ROHS compliant speakers with unlimited imprint space. 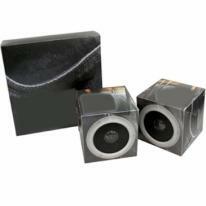 4 color process imprint on speakers and on outside box included. Each box unfolds from flat die-cut to form a cube with a 2" round speaker. Set features an audio jack that plugs conveniently into a computer or MP3/MP4 player. Product Dimensions: 3.15'' H x 3.15'' W Imprint Dimensions: 3.6'' H x 3.5'' W. Packaging: Gift Box Packing: 40 lbs per 60 pcs . Note: Other decoration methods are available for this item, please call for details. Includes 4 AAA batteries. 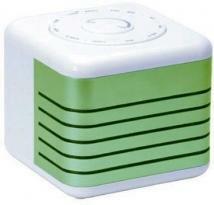 This desktop speaker transforms your iPod, MP3, CD players and other audio players into a mini stereo. 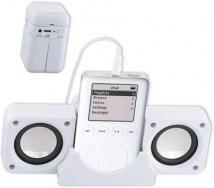 The special designed docking design includes retractable stereo input plug (compatible with iPods), attached auxiliary input cable for other iPods/MP3 and other audio players. Product Size (H x W x D): 1.75 x 6.50 x 2.75 Imprint Area: Front 1"h x 2"w. Packaging: Gift Box Pieces Per Box: 60 Weight Per Piece: 0.55 lbs. Weight Per Box: 33 lbs. Case Dimensions (L x W x H): 21.5 x 11.6 x 13.4. 8 1/2" wrap around signal cable for easy storage. Transform Your MP3/iPOD/CD player into a mini stereo. USB cable for PC connection. Includes 4 AAA batteries. Fold-up design for traveling protection. Product Size (H x W x D): 2.38 x 2.50 x 3.83 Imprint Area: Front 1/4"h x 1 3/8"w. Packaging: Gift Box Pieces Per Box: 60 Weight Per Piece: 0.50 lbs. Weight Per Box: 30 lbs. Case Dimensions (L x W x H): 33 x 10 x 12. Foldable MP3/iPod speakers with large branding area. 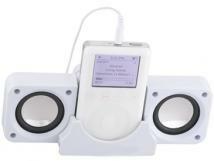 Compact foldable speakers ideal for iPod, MP3 players and portable CD players. Audio cord folds conveniently into the speaker body. Print Area: 2 3/4" x 1 3/4" Product Dimensions: 4 1/2" x 2 3/4" Packaging: White giftbox Weight Product: 25 pcs = 13 lbs Features: Ideal for travelling. No batteries needed Accessories: Instructions. 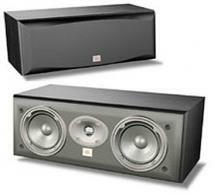 Unique twist-action allows these speakers to expand for operation, and stack for traveling. 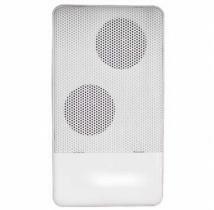 Battery operated or power with your computer's USB port, providing great sound quality, these speakers can be used with any MP3 player, iPod, Laptop, CD player - anything with a headphone jack. 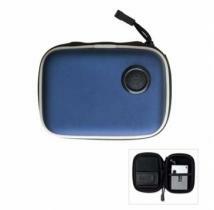 Travel pouch included Approximate Dimensions: 2.25" H X 8.25" W X 3" D Imprint Area: 0.5" H X 1" W Weight: 0.6 lbs. Desk or Travel portable speaker. Includes adaptor cable for use with MP3/MP4 players, laptops, portable CD/DVD players. All speakers do not include battery. Material: Metal/Plastic Product Dimensions: 4-1/8"H x 2-3/8"W x 3/4"D Imprint Dimensions: 3/8"H x 1-1/8"W Extra color/position imprint add $55.00 set up, plus running charge of $0.80 per piece for quantities of first two pricing columns, $0.40 per piece for quantities of last two pricing columns. Gift box included. Packaging: Gift Box Units/Weight Per Carton: 100 pcs/26 lbs. Includes one color, one location silkscreen. Battery powered portable speaker system in zip-around carrying case. 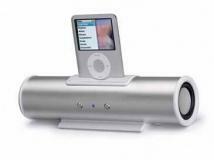 Works with iPod and MP3 players. Tricot-lined mesh stash pocket for earphone or audio storage. Set includes carabiner clip and two AAA batteries. 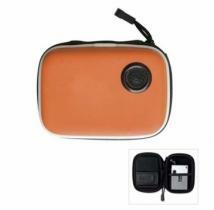 Durable PU case with EVA backing. Other decoration methods available, please call. Size: 5.75"w x 2.6"h x 2"d Decoration size: 2"w x 1.25"h centered on top front. Color Me Speaker is an artistic expression and music for your eyes. Connects to media players, computers and even cell phones! Incredible sound with an even more incredible four color process imprint. The rotatable metal holder can be put on the table or hung onto a hook. The cable can be fixed at the back, convenient to carry. Can be used for over 8 hours with 2 AAA batteries (included). PATENT:200810204147.7. Size: 2.5 H x 4.6 W Imprint Area: 3.35 H x 5.3 W Packaging: Gift Box Packing: 72/100. Portable Speaker & Docking Station. Sleek Modern Design Great Sound Quality Can be used with any MP3 Device Individually Poly Bagged. 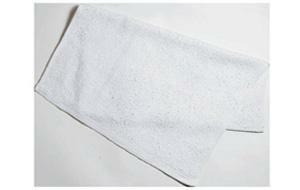 Size: 7 1/4" W x 1 7/8" H x 1 7/8" D Max Imprint Area: 2" W x 3/8" H. WT_100: 56 LBS. Paper-Proof: $10. (Required on all labels). High performance speakers for crisp clear audio Built in amplifier for active operation Aluminum housing Supports audio devices with a dock connector & devices with a 3.5mm earphones jack Built in charger for audio devices with a dock connector Battery compartment located under device to play the device on the go AAA batteries are not included. Finish: Anodized Aluminum. Size: 7 1/4L" x 1 3/4W" x 1 7/8H" Imprint: 1 1/8W" x 5/16H". Qty/Box: 30 ShipWeight: 24lbs. Great sound quality! This portable stereo speaker will keep you and your music going. The zip vinyl case has an adjustable strap and a carabiner. Finish/Material: Mesh, PU Dimensions: 5" W x 6" H Imprint Area: 2 1/2" W x 1 1/4" H Shipping Information: Carton Size: 14" W x 11" H x 16" L Standard Packaging: Individually Carton Weight: 18 lbs. / 24 pcs. 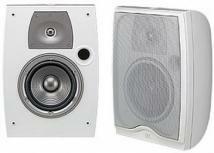 Compact pair of speakers look cool and offer great stereo sound. The resonance tops pop up for stronger bass. Perfect for iPods and MP3 / MP4 players (not included) via 3.5mm audio jack. The two speakers magnetically lock together for easy travel. Recharge the battery via USB or AC for 6 hours play time. 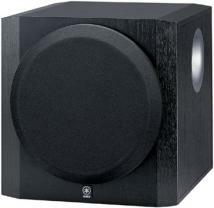 Size: Each speaker is 2 3/8" tall x 2 1/8" diam. Imprint: 7/8"w x 1/4"h Shipping: Individually packaged in gift box. Push button adjustable volume, audio in / out, folds for storage, USB power cord, stereo mini plug, ABS construction. opens up to 10 1/2" x 3 3/4". Finish/Material: Plastic Dimensions: 4 3/4" W x 3 3/4" H Imprint Area: 1 1/2" W x 2" H Shipping Information: Carton Size: Box Length: 24.21 Box Width: 18.03 Box Height: 17.01 Standard Packaging: Individually Carton Weight: 76 lbs. / 72 pcs. DISCONTINUED: USB powered, no adapter required. On/Off is touch activated at the top of the item and is indicated by subtle orange LED glow on the audio lens. Speaker is magnetically shielded. 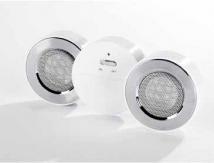 2-way surround sound speaker. Easy tuning with bass/ treble adjustment. Plug and play, no software required. Product Size (H x W x D): 8.00 x 0.00 x 3.00 Imprint Area: Bottom 3/4\"h x 3/4\"w Packaging: Gift box Pieces Per Box: 24 Weight Per Piece: 1.00 lbs. Weight Per Box: 24lbs. Case Dimensions (L x W x H): 17 x 13 x 20. 5-inches High Compliance Polypropylene Mica Filled Woofer 1/2-inch PEI Dome Tweeter Wide Frequency Response (55Hz-40kHz) 120W Maximum Input Wall Mounting Bracket Included Vertical or Horizontal Placement 5-Way Binding Post Speaker. The ultimate sound experience! Use your table as a sounding board, Portabale 2 way Desktop speaker. Print Area: 20 30 mm Product Dimensions: 81 X 120 mm Packaging: White Giftbox Packaging Dimensions: 210 X 175 X 105 mm Weight Product: 520 g Weight Product & Box: 1160 g Compliance: CE Features: Based on patented super-energy crystal technolohgy. Speaker is magic audio frequency device, Make any hard surface produce euphonious musical notes, such as wood tables, glass, floor, metal surface, etc. New sound principle will bring a new way of enjoying your music. Compatibility: Notebook PC, music mobile telephone, MP3, MP4, CD, Palm players and other portable devices Input Voltage (AC): 120V - 250V Output Voltage (DC): 24V Static Current: 38Ma Frequency Response: 70HZ - 30KHZ Output Power: 30w (impedance 4) Accessories: Power box, cable, user manual. 6.5 inches High Compliance Polypropylene Mica Filled Woofer 1-inch PEI Dome Tweeter Wide Frequency Response (45Hz-40kHz) 130W Maximum Input Wall Mounting Bracket Included Vertical or Horizontal Placement 5-Way Binding Post Speaker. Advanced YST II (Yamaha Active Servo Technology II) Front-Firing Active Subwoofer Linear Port for Minimizing Extraneous Noise 10-inch Long-Stroke Cone Driver with Magnetic Shielding High 100W Dynamic Power 25-180Hz Low Frequency Response Selectable High-Cut Filter. Northridge e series 2-way, dual 5-inch center channel loudspeaker: Maximum Recommended Amplifier Power: 150 Watts, Power Handling (Continuous/Peak): 75 Watts/300 Watts, Impedance: 8 Ohms nominal, Sensitivity (2.83V/1m): 90dB, Frequency Response (-3dB): 80Hz - 20kHz, Crossover Frequency: 4000Hz, High-Frequency Transducer: 3/4 (19mm) Titanium-laminate dome, shielded Low-Frequency Transducers: Dual 5-inch (130mm), PolyPlas, shielded, Dimensions: (H x W x D): 6-7/8 x 18 x 10 inches, (175mm x 457mm x 254mm).